In 2018, there were no significant developments in relation to trademark law in Spain. This is in contrast to events within the European Union system, where Regulation (EU) 2015/2424 on the European Union trademark, which came into force in 2016, has undergone substantial amendments. In 2015 a EU trademark reform legislative package, comprising both the amendment of the Regulation on the European Union trademark and a new directive for harmonisation of the trademark laws of the Member States, was published. This is going to entail important changes in Spanish trademark practice (the time limit for transposition into national law is 14 January 2019, except in the case of one article, for which transposition may be deferred until 14 January 2023). The Spanish Patent and Trademark Office (SPTO) is an autonomous body that forms part of the Ministry of Industry, Energy and Tourism and provides legal protection to all types of industrial property by awarding patents and utility models (inventions), industrial designs, trademarks and trade names (distinctive signs), and rights protecting topographies of semiconductor products. It also disseminates information on the various ways in which industrial property can be protected. The Central Mercantile Register is an official institution that provides access to information about a company supplied by the regional mercantile registers and issues a favourable certificate that indicates the name under which the company will be identified as an individual subject of the law and obligee in all its legal relationships. Dominios.es is responsible for managing the internet domain names registry for the country code .es. The registry management tasks include processing applications and assigning new domains. It is a part of the public business entity Red.es, which has been authorised to register internet domain names under the first level country code for Spain (.es). This is being carried out in accordance with guidelines set out by the Ministry of Industry, Energy and Tourism and in compliance with ICANN (Internet Corporation for Assigned Names and Numbers), as well as international market guidelines. Once a trademark application is filed, the SPTO examines whether it meets the minimum requirements for admission and publication for opposition purposes. However, if any formal inadequacies are found, the applicant will be required to correct them. If the application is found to be admissible, it is published in the official gazette. A term then opens for the filing of third-party oppositions, given that earlier trademarks that might pose an obstacle are not cited ex officio by the SPTO. Only on certain occasions will the SPTO send notification of the existence of the new application to the holders of earlier rights for information purposes. If objections are raised on absolute grounds or oppositions are lodged, the SPTO issues an official action against the application and invites submissions by the applicant in response within a term of one month, following which the SPTO undertakes its own examination regarding absolute grounds for refusal. Once the examination is completed, if there are no objections or oppositions and the trademark is granted, the corresponding certificate of registration is issued. With regard to collective or certification marks, Spanish law permits a group of individuals to designate goods as either emanating from them (collective mark) or being approved by them (certification mark). Collective marks are subject to rules of use that must undergo review by the SPTO. The application for registration of collective marks needs to provide the regulations governing use. In addition, any future modification of the said Regulation shall again be subjected to the SPTO. Certification marks certify that the goods and services to which the mark is applied fulfil certain shared requirements, particularly with respect to quality, materials, geographical origin, technical conditions, method of manufacturing, etc. The mark may not be used by the owner but by third parties authorised by the owner, having checked that the goods or services of the third party fulfil the requirements certified by the mark. Certification marks may not be registered by those who manufacture or market goods or services identical or similar to those for which the mark has been filed. A well-known mark is understood to be a mark that as a result of (1) the volumes of sales; (2) the duration, extent or geographic scope of use; (3) the value or prestige attained in the marketplace; or (4) for any other reason, is broadly known to the pertinent sector of the public for the goods or services in question. If the well-known mark is not registered in Spain, the owner may file an opposition against later filings that he or she deems to be confusingly similar and may even take legal action against possible infringers. If the well-known mark is registered, the owner shall be entitled to all the rights that the law confers on the owner of a trademark, but he or she may also prevent the registration of trademarks claiming protection for goods or services that are not similar to those for which the earlier trademark is registered, and the greater the degree of knowledge of the earlier trademark in the pertinent sector of the public community or in other related sectors, the more dissimilar in nature the protected or claimed goods or services may be. Trademark rights are obtained through registration. However, the law confers a certain degree of protection on the owner of an application to register a trademark and on the owner of an unregistered trademark that is well-known in Spain, within the meaning of Article 6 bis of the Paris Convention, as set out below. Trademark applications entitle applicants to oppose subsequent filings for trademarks identical or similar to theirs for identical or related goods or services. On the other hand, the right to take legal action against infringement is conferred only upon publication of the notice of grant. However, after publication of the notice of filing of the application, a right holder may lay claim to provisional protection in the form of the right subsequently to claim damages for the period between publication of the application and publication of grant. The owner of a non-registered well-known trademark is also entitled to oppose filings for trademarks identical or similar to theirs for identical or related goods or services. The founding of a company or an institution eligible for entry in the mercantile register requires a prior acquisition from the Central Mercantile Register of a favourable certificate that indicates the name under which the company will be identified as an individual subject of the law and obligee in all its legal relationships. The first paragraph of Section 413 of the Mercantile Register Regulations currently in effect establishes that: 'No deed of association may be authorised for any company or other institution eligible for entry, or may its name be modified, unless the Notary is provided with a certificate which establishes that the name selected does not already appear as registered.' The name must coincide exactly with the one appearing in the negative certificate issued by the Central Mercantile Register. Regulation of geographical indications (GIs) is very scattered and complex. The basic regulation applicable in Spain is contained in EU regulations for specific kinds of goods, which are likewise applicable to all EU Member States. Regulation (EC) No. 110/2008 of the European Parliament and of the Council of 15 January 2008 on the definition, description, presentation, labelling and the protection of geographical indications of spirit drinks and repealing Council Regulation (EEC) No. 1576/89. This is the main regulation for spirit drinks. Its implementing regulation is Commission Implementing Regulation (EU) No. 716/2013. Regulation (EU) No. 1151/2012 of the European Parliament and of the Council of 21 November 2012 on quality schemes for agricultural products and foodstuffs and Commission Implementing Regulation (EU) No. 668/2014. Regulation (EU) No. 1308/2013 of the European Parliament and of the Council of 17 December 2013 establishing a common organisation of the markets in agricultural products and repealing Council Regulations (EEC) No. 922/72, (EEC) No. 234/79, (EC) No. 1037/2001, and (EC) No. 1234/2007 and its implementing regulation (Commission Regulation (EC) No. 607/2009). Regulation (EU) No. 251/2014 of the European Parliament and of the Council of 26 February 2014 on the definition, description, presentation, labelling and the protection of geographical indications of aromatised wine products and repealing Council Regulation (EEC) No. 1601/91. In addition to the above-mentioned, the most important provisions of law, at national level, are to be found under the Protected Designations of Origin and Geographical Indications Act; Act No. 6/2015 of 12 May 2015, which is national (supra-regional) in scope; and Royal Decree No. 1335/2011, of 3 October 2011, which regulates the procedure for prosecution of applications to register protected designations of origin and protected GIs in the EC register and opposition thereto. These provisions basically regulate certain specific aspects of protection in Spain of protected GIs and designations of origin and aspects of the national stage of the application and opposition procedures at the national level or before the European Commission, depending on the case. The autonomous communities of Spain have jurisdiction in this area and there is therefore an abundance of legislation at autonomous community (regional) level that regulates aspects of the national stage of the registration procedure in those cases where the autonomous communities have jurisdiction. Finally, trademark regulations, mainly the Spanish Trade Mark Act No. 17/2001 and Regulation (EU) 2017/1001 of the European Parliament and of the Council of 14 June 2017 on the European Union Trademark (text with EEA relevance) – which entered into force on 1 October 2017 – regulate certain aspects of the protection of GIs and designations of origin against trademarks. Article 275 of the Spanish Criminal Code provides for criminal protection with respect to crimes against GIs and designations of origin. Law No. 3/1991 on Unfair Competition also contains certain provisions applicable in cases involving GIs and designations of origin. There are also international agreements with certain countries to regulate reciprocal protection of GIs. According to the relevant legislation, .es domains may only be allocated to natural persons or entities with or without legal personality with interests in, or links to, Spain, be it as a result of the place of establishment, ownership of the trademarks or the offering of goods or services to the Spanish market. An application can be filed directly with the Spanish register Red.es or through another registrar. The allocation system works on a first-come, first-served basis. The procedures and checks for the allocation may vary according to the different categories of domain name in Spain: .es; .gob.es; .edu.es; .org.es; .com.es; .nom.es; and .org.es. The allocation of a domain name only confers the right of use on its holder. Although it has often been held that a domain name is a type of distinctive sign, this has not been recognised by law or case law. In fact, the possibility of bringing an action claiming ownership of a domain name within the context of legal proceedings based on trademark law is not even provided, since the Spanish Trademark Act reserves that possibility for distinctive signs. any combination of the signs set out by way of example in points (a) to (e). colour needs to be specifically claimed. Filings may subsequently be completed or supplemented, but the filing date will be the date on which the above-mentioned items at least have been placed on file. The official fee in 2018 for registering a trademark in one class is €125.36, if paid by electronic means. The fee is payable upon filing and no further fee is payable upon registration. The official fee for registering a trademark in second and subsequent classes is €81.21 per class. These amounts are solely the official fees; the professional fees charged by the representative handling the application are a separate matter. Pursuant to the Spanish Trademark Act, the maximum permitted period for the SPTO to issue its decision on a trademark application, provided the application has not been opposed and no official action has been issued against the application, is two months. Otherwise, the maximum period is 20 months. if objections or oppositions do arise: eight to 12 months. A trademark application may be refused registration if third parties lodge an opposition citing an earlier trademark or trade name identical or similar to the trademark applied for, and covering identical or similar goods or services, provided there is a likelihood of confusion. 'Earlier trademarks' are Spanish or European Union filings or registrations or international marks having effect in Spain prior to the contested mark, as well as unregistered trademarks that, on the date of filing or the priority date of the application under examination, were well-known in Spain within the meaning of Article 6 bis of the Paris Convention (as explained in Section II.iii, on unregistered marks). There is also special protection for well-known marks, given that the following shall not be registered as trademarks: those signs that are identical or similar to an earlier well-known trademark or trade name, even when the goods or services are not identical or similar, where by reason of the well-known or reputed nature of the earlier sign in Spain, the use of the sign applied for without due cause may take unfair advantage of, or be detrimental to, the distinctive character or well-known nature or repute of the earlier trademark or trade name. Moreover, the personal name or likeness of a person other than the applicant, the name, surname, pseudonym or any other sign that, to the general public, identifies a person other than the applicant, and signs that reproduce, imitate or adapt works protected by copyright or another industrial property right (e.g., an industrial design) shall not be registrable, unless proper consent has been obtained. This aspect is examined ex officio by the SPTO. The Spanish Trademark Act also confers protection on trade names. These have a registration procedure very similar to that of trademarks. Consequently, a trade name, a name or corporate name of a legal person, which before the filing or the priority date of the trademark application, identified in trade a person other than the applicant, may also serve as the basis for opposition and block the registration of a trademark if there is a likelihood of confusion on the part of the public because it is identical or similar thereto and the scope of coverage is also similar. The opponent shall submit an official form, a brief setting out the grounds and a power of attorney. Then, if the SPTO finds that the opposition is admissible, it issues an official action on the trademark application. The applicant then has an opportunity to respond to the opposition. After that, the SPTO issues its decision to grant or refuse the application. As already explained, once the SPTO has determined that the trademark application meets the minimum formal requirements for admission, the application is published in the official gazette, opening a third-party opposition period of two months from the publication date of the application. 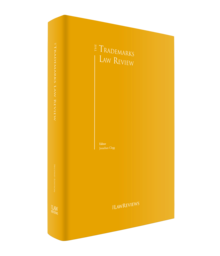 Registration of a trademark application may be opposed by third parties based on the absolute or relative grounds set out in the Spanish Trademark Act. There is an exception, where absolute prohibitions are cited, given that the opponent must demonstrate a legitimate interest. However, demonstration of a legitimate interest is not necessary where relative prohibitions are cited against an application, as it is only necessary to prove that the opponent is the owner of the registration cited as the basis for the opposition. Moreover, public administrative bodies, associations and organisations whose purpose, according to their by-laws, is consumer protection and whose territorial scope is national or extends to an autonomous community, may submit to the SPTO written observations explaining why a trademark should be refused registration ex officio pursuant to the absolute prohibitions. Invalidity actions must be filed with the mercantile courts, which are civil courts specialised in intellectual property (IP) rights. The invalidity of a trademark can be claimed on absolute and relative grounds. Another ground for invalidity is if the applicant was acting in bad faith when filing the application for the trademark. The legal action follows ordinary procedure, which is essentially in three stages: (1) the written stage (complaint and statement of defence, with the possibility of a counterclaim and a reply thereto); (2) the preliminary hearing (a court hearing at which procedural issues are discussed, the facts at issue are established and evidence is proposed); and (3) the trial, at which the parties, witnesses and experts testify, where this had been proposed as evidence, and closing statements are given. However, the new EU Directive 2015/2436 of 16 December 2015, to approximate the laws of the Member States relating to trademarks, states that an administrative invalidity procedure must be established by the legislation of the EU Member States. Changes concerning this type of action are therefore expected soon. Besides revocation on the grounds of failure to use the trademark or its surrender, the Spanish Trademark Act provides for three other grounds, namely revocation owing to a lack of genuine use, revocation owing to 'vulgarisation', and revocation where, as a consequence of the use made of the trademark by the owner or with the owner's consent, it is liable to mislead the public. In these three cases, as is the case with invalidity actions, revocation shall be declared by the mercantile courts. The legal action follows what is known as ordinary procedure, which is essentially in three stages: (1) the written stage (complaint and statement of defence, with the possibility of a counterclaim and a reply thereto); (2) the preliminary hearing (a court hearing at which procedural issues are discussed, the facts at issue are established and evidence is proposed); and (3) the trial, at which the parties, witnesses and experts testify, where this had been proposed as evidence, and closing statements are given. However, the new EU Directive 2015/2436 of 16 December 2015, to approximate the laws of the Member States relating to trademarks, states that an administrative revocation procedure must be established by the legislation of the EU Member States. Changes concerning this type of action are therefore expected soon. All SPTO decisions are appealable to the appeals section of the SPTO itself by means of an administrative appeal. The term for appealing an opposition decision at first instance is one month and the SPTO's team of examining attorneys rules on the appeals. The SPTO's decision in an administrative appeal may, in turn, be challenged before the contentious-administrative appeal court. 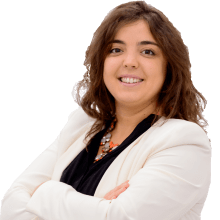 A judgment issued by a contentious-administrative appeal court is subject to appeal before the Contentious-Administrative Action chamber of the Spanish Supreme Court, whose judgment is final and unappealable. A civil action for trademark infringement is handled by the mercantile courts, which have been operating in Spain since 2004 and specialise in certain areas, including IP. If the infringement action seeks to protect the exclusive rights conferred by a European Union Trademark registration, jurisdiction over the case is held by the European Union Trademark courts in Alicante. However, by virtue of a decision by the General Council of the Spanish Judiciary and the entry into force of the new Spanish Patent Act (which is applicable to distinctive signs in procedural matters) jurisdiction to hear actions relating to national trademark registrations is held exclusively by certain mercantile courts in Madrid, Barcelona and Valencia. There is therefore a trend towards the hyper-specialisation of judges in IP-related matters. Civil trademark infringement proceedings follow ordinary procedure. This consists of three stages: (1) an initial written stage, during which the complaint and statement of defence are filed; (2) a second oral stage, consisting of a preliminary hearing, at which any procedural issues that may prevent the proceedings from continuing are examined, the subject matter of the proceedings is determined and evidence is proposed and either allowed or disallowed; and (3) the trial, during which the evidence is examined (which could include testimony by the parties, the witnesses and the experts) and closing statements are delivered. The law also provides for alternatives to court proceedings. In that regard, an attempt has been made to promote out-of-court dispute resolution, for instance, by granting enforceability to mediation agreements – executed in a public deed – and to arbitration awards. Under the Spanish Trademark Act, trademark holders may prohibit third parties not having their consent from using in the course of trade any signs that are identical or similar to the extent that they may be confused with, or prove capable of taking advantage of, the well-known character of an earlier mark. Among other conducts, use of the sign in commercial and advertising documents, on telematic communication networks and as a domain name, or use of the sign on products and in the importing or exporting thereof may be prohibited. As regards disputes arising from the use of signs as company names – the prohibition of which is not expressly laid down in the Spanish Trademark Act, but is indicated in Regulation (EU) No. 2017/1001 on the European Union trademark (which came into force on 1 October 2017, replacing Regulation (EC) No. 207/2009), as well as in the new EU Directive 2015/2436 concerning trademarks, which has yet to be transposed into Spanish domestic law – Spanish courts have ruled that such use may be prohibited if the company name containing the sign is used in trade. Additionally, unfair competition actions may be joined to trademark infringement actions. Nevertheless, because of the overlap between both laws in some respects, case law has established the principle of relative complementarity, which essentially consists of two principal aspects: on the one hand, the fact that a conduct that clearly falls within the scope of trademark law cannot be judicially examined from an unfair competition perspective; and on the other hand, both laws may be applied in a complementary manner provided that they are based on different facts, each of which may be included separately under one of the laws. Basically, the Spanish courts have tried to prevent parties from having recourse to the Unfair Competition Act in an effort to obtain new exclusive rights that are not expressly provided for in trademark legislation. In civil proceedings, the burden of proving the facts on which the infringement action is based lies with the plaintiff. This rule is only reversed in revocation proceedings for non-use, where it is the defendant who must prove that the trademark has been put to genuine use. The parties may avail themselves of any kind of evidence to demonstrate perpetration of the infringement or otherwise. In fact, expert opinions and other documents issued by experts to attest to certain facts or to assess the amount of compensation for damage, are often submitted. The plaintiff and the defendant, who must be assisted by a lawyer and represented by a procurator (or court agent) must put forward all the factual and legal grounds for their action in the initial complaint or statement of defence. All documentary evidence must be filed with those submissions. What is, to a certain extent, equivalent to 'disclosure' in the common law system is the defendant's obligation to submit whatever documents it has in its possession that the plaintiff needs to support the action. This requirement may come prior to the filing of the complaint, if the plaintiff applies for preliminary proceedings – some of which are expressly provided in IP proceedings – or during the proceedings, at the evidential stage. The duration of the proceedings depends on numerous factors, such as the specific court to which the case has been allocated and its workload, the complexity of the case and the position taken by the defendant. On average, first instance proceedings take roughly between nine and 16 months. As a rule of thumb, under Spanish law, the party that loses the case pays costs to the winning party, but only where all claims by the losing party have been dismissed. In such cases, the winning party will recover part of the money it has invested in legal counsel and representation by a court procurator. However, it is the judge who fixes the amount of the costs based on criteria provided by the professional associations for the services provided. The remedies available against infringing conducts have been harmonised on a European level by means of EU Directive 2004/48/EC on the enforcement of intellectual property rights. Civil actions for trademark infringement enable the plaintiff to request the necessary remedies to put an end to the infringing conduct. The law expressly provides, inter alia, for cessation of use of the infringing sign, the removal of the infringing products from trade, compensation for damage and publication of the judgment. The compensation repairs material and moral damage. With respect to material damage, the amount of the compensation comprises the loss suffered, as well as preventing gain. In calculating the latter, the plaintiff may opt for one of the following criteria: (1) the profit that the plaintiff failed to obtain; (2) the profit obtained by the defendant; or (3) the price of a hypothetical licence that the defendant should have requested from the plaintiff to carry out the conduct in a lawful manner. In any event, the plaintiff must prove that damage has indeed been sustained and assess the cost of the damage. There are no punitive damages. The Trademark Act establishes minimum objective damages, requiring no evidence, for cases in which trademark infringement is held to have occurred. Those damages are equivalent to 1 per cent of the business turnover made by the defendant under the infringing sign. In Spain, actions for the protection of registered trademarks may be brought via civil or criminal proceedings, given that the various exclusive rights infringement scenarios have been defined in both jurisdictions. Criminal proceedings in Spain differ entirely from civil proceedings. The former consist of the pretrial investigation stage and the trial stage, which take place before two different courts. Therefore, their duration cannot be estimated since it varies considerably. As regards the remedies available in a case of trademark infringement, those described above in relation to civil proceedings would also apply. Additionally, the Criminal Code punishes trademark infringement offences with penalties of one to four years' imprisonment and a fine (calculated on the basis of a daily sum over a period of 12 to 24 months). Specifically, the main differences between both jurisdictions are determined by certain conditions that the case must fulfil to be examined in criminal proceedings. For instance, there must be intent, the conduct must be for financial gain and the circumstances of the case must be of a criminal nature. In practice, criminal action in relation to trademark law is only brought against acts of trademark counterfeiting. In view of the criminal law principle of minimum intervention, only this kind of conduct is examined under this system. Counterfeiting is pursued on two fronts. On the one hand, with respect to acts originating outside Spain, border measures are put in place to block the entry of counterfeit goods. On the other, the Spanish police actively work to seize counterfeit goods. As regards border measures, Spain is part of the European Union and so the customs authorities comply with the rules laid down in EU Regulation No. 608/2013 concerning customs enforcement of intellectual property rights. In relation to civil cases, there has been some recent case law containing points of interest. For instance, Judgment No. 504/2017 of 15 September settled doctrine on relative complementarity between trademark infringement and unfair competition actions, as referred to earlier. The plaintiff, owner of various signs that include the term 'HOJALDRINA', consolidated with its trademark infringement action various actions based on articles of the Unfair Competition Act, because of use of the sign '1880' HOJALDRINES' by the defendants. The court pointed out that once the acts concerned have passed the examination based on the Trademark Act, those acts cannot be classed as unfair. 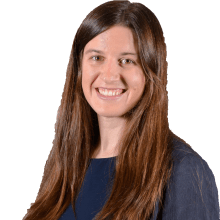 Furthermore, the judgment handed down by the Supreme Court on 26 February 2018 has laid down the criteria for establishing whether there is a likelihood of confusion in cases involving well-known trademarks. The judgment confirms that the assessment of the similarity of trademarks is not the same in relation to Article 6.1(b) (likelihood of confusion) as it is in relation to Article 8 (well-known trademarks), since in the latter case the degree of required similarity may be lower, given that under Article 8 confusion between signs is not the issue but rather whether the new trademark is evocative, suggestive or reminiscent of the well-known earlier trademark, thereby giving rise to a risk of a connection being established – which differs from the risk of confusion or association, or a combination of these. On a procedural level, Spain has just implemented the innovative regime established by the new Spanish Patent Act, which came into force on 1 April 2017. According to the letter of the law, its procedural regime applies to trademark and design infringement actions. The new Act has brought in significant changes: for example, the establishment of a time limit – exceptional in the whole of the Spanish legal system – of two months for filing a statement of defence; assessment of damages at the judgment enforcement stage to simplify declaratory proceedings; and regulation of the filing and processing of protective letters, which were, in practice, being admitted by a number of judges. Having overcome initial doubts concerning the application of the legislation in areas other than patent law, judges are now applying all the procedural provisions of the new law in trademark proceedings. On a substantive level, in Spain a draft bill has just been approved to amend the Trademark Act, which seeks to incorporate EU Directive 2436/2015 into Spanish law. One of the most significant innovations of the new legislation, which has still to go through the corresponding parliamentary procedure, is that jurisdiction for revocation and invalidation of trademark registrations will pass to the SPTO. Currently, jurisdiction for revocation and invalidation lies with the Spanish mercantile courts. However, the precepts governing this highly significant change will not enter into force until January 2023. The greatest mystery regarding this legislative reform as far as procedure is concerned is how trademark revocation and invalidity actions will finally be regulated. At present, such actions can only be brought before the courts. However, under the amended Act, jurisdiction will be attributed to the SPTO. 1 Marta Rodríguez is a junior associate and Patricia García is a lawyer at Elzaburu.